After hundreds of years of American oppression, American Indians gained the right to vote in the land they called home since time immemorial with the passing of the Indian Citizenship Act of 1924. Native Americans, new to the political scene worked to organize political coalitions. In 1925 and 1926 white business owners of Spokane leveraged this new position of local Native Americans to their advantage. They organized an "Indian Congress" to market Spokane. The pageantry, and the over top manner in which the Native Americans were photographed and displayed in the middle of the city were ploys to spark attention from the media. Regional newspapers did not disappoint. 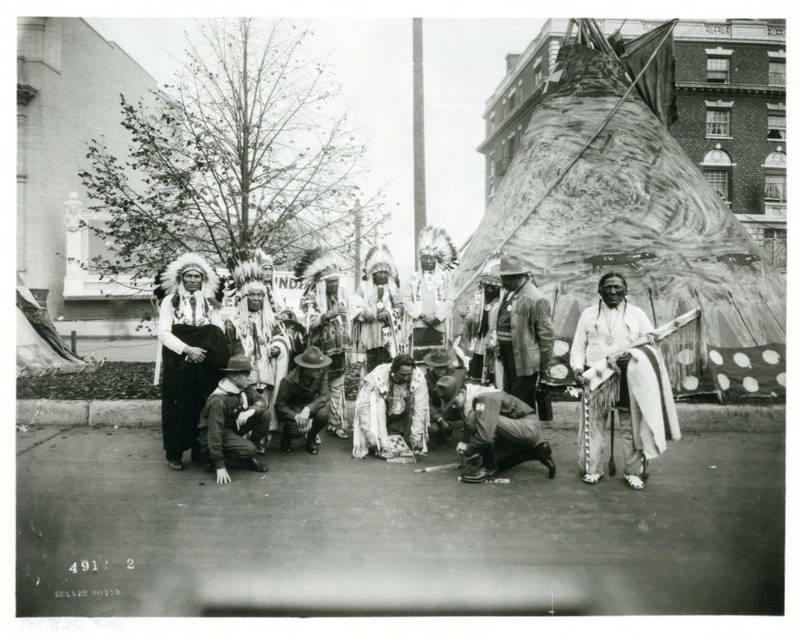 They wrote stories, detailing the "Halloween parade" that included Natives in full regalia on horseback, and the display of "Indian curios" at local businesses. 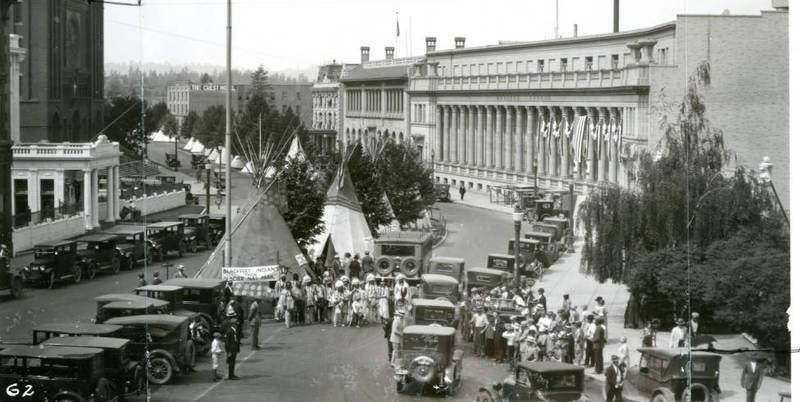 Approximately, 3000 Natives came to Spokane for the event in 1925. 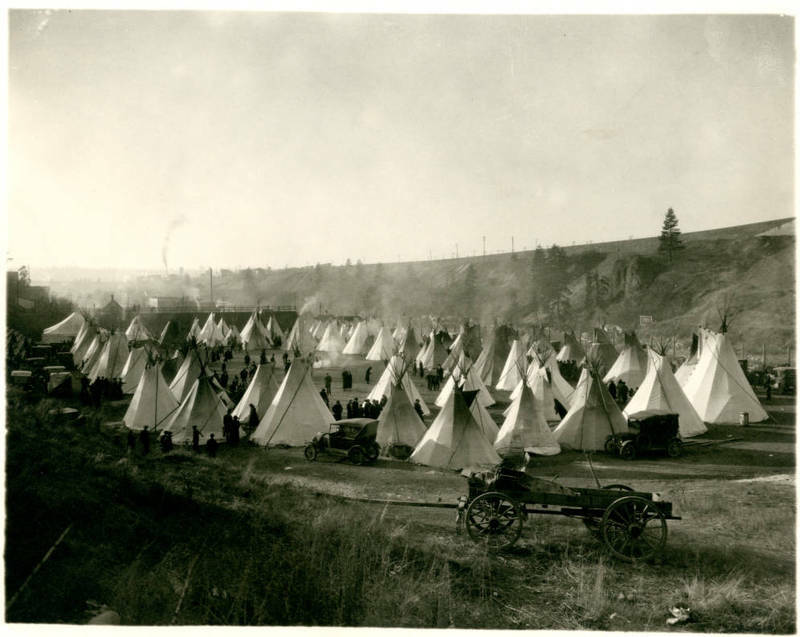 They camped all over the city in large lodges or teepees; the most iconic pictures of the event being a row of Blackfeet lodges on the median of Riverside Avenue. Glover Field was filled with over seventy lodges. 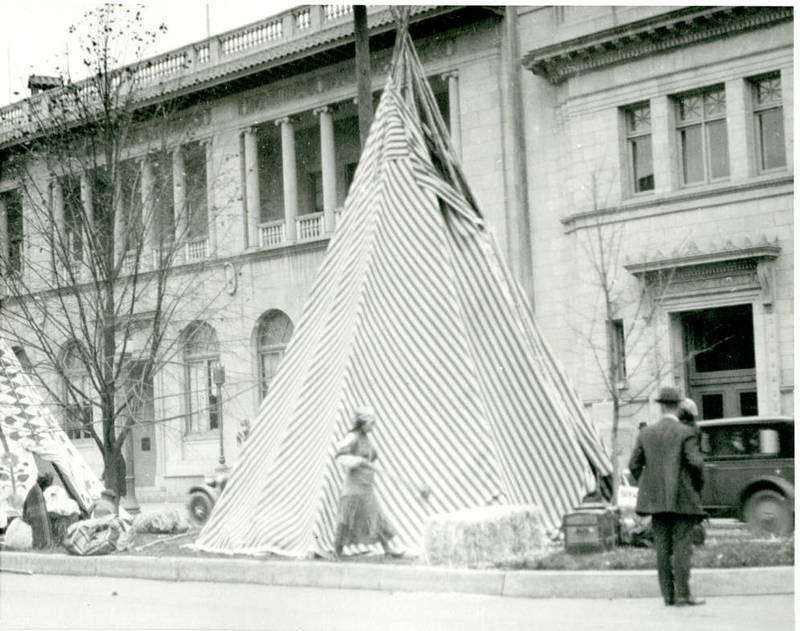 Beauty contests, parades, stick games, and teepee building contests were held all over the city. After two consecutive meetings of the Indian Congress, it ended because Natives saw no point in continuing in a meeting organized as a marketing ploy that did nothing to further Indian rights. 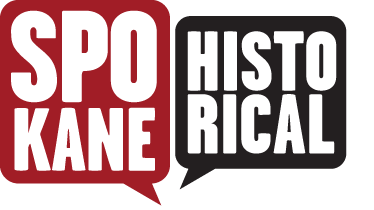 The Spokane Indian Congress has no connection to the National Congress of American Indians formed in 1944 in Denver, Colorado. NCAI. 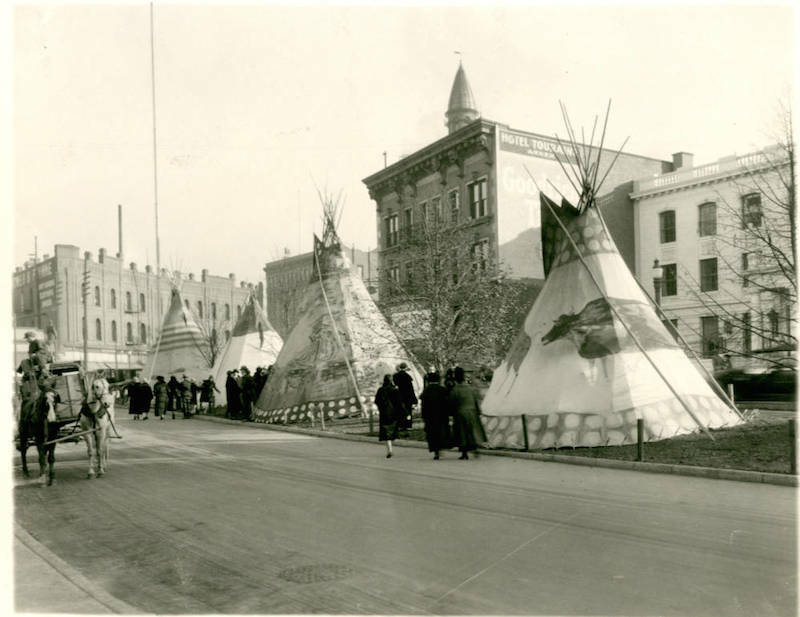 Blackfeet Teepees: Blackfeet delegates on Riverside Avenue camping on the median in the street. Image courtesy of Spokane Public Library, Ned M. Barnes Northwest Room Digital Collections. Beauty Contest held at Gonzaga: Image courtesy of Spokane Public Library, Ned M. Barnes Northwest Room Digital Collections. Teepee on Riverside Avenue: Teepees were set up all over the city in odd and public places to create photo opportunities for newspapers. Image courtesy of Spokane Public Library, Ned M. Barnes Northwest Room Digital Collections. 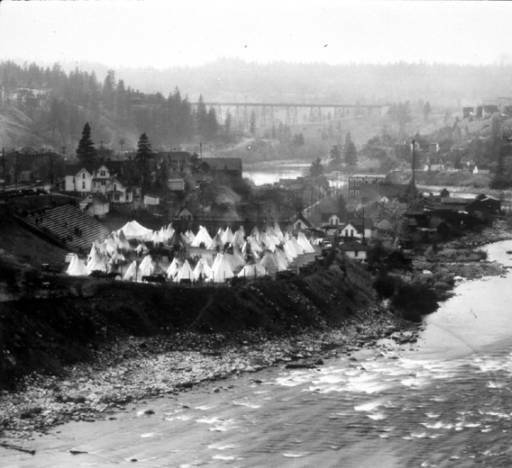 Blackfeet Teepees on Riverside Avenue (2): Image courtesy of Spokane Public Library, Ned M. Barnes Northwest Room Digital Collections. Glover Field Camp: The camp for the delegates to the Indian Congress. Photo taken October 30th and 31st. Image courtesy of Spokane Public Library, Ned M. Barnes Northwest Room Digital Collections. 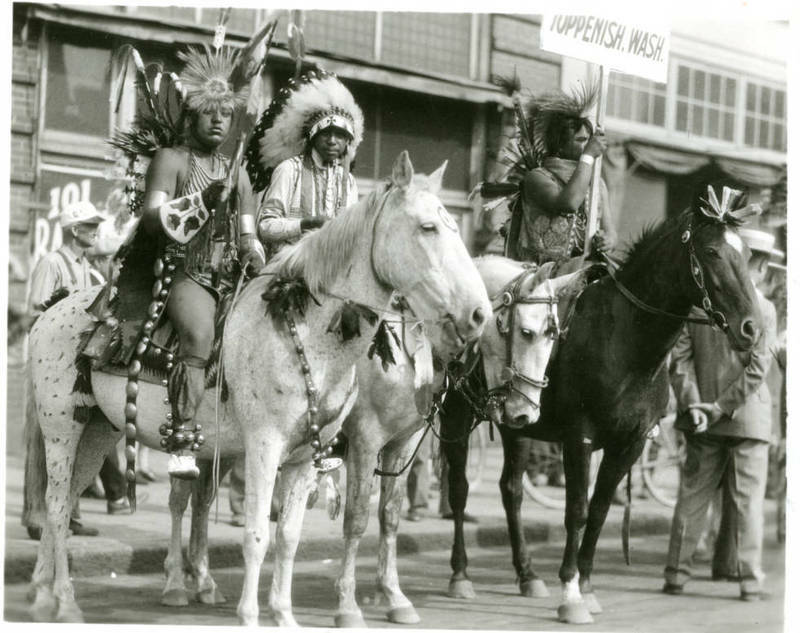 Blackfeet Men on Riverside Avenue: This is an image of a Blackfeet ceremony welcoming white Americans into the tribe. Notice how they are posed for the photographer. Image courtesy of Spokane Public Library, Ned M. Barnes Northwest Room Digital Collections. Yakama Natives on Parade: A Halloween Parade was organized by local business owners for the event. Image courtesy of Spokane Public Library, Ned M. Barnes Northwest Room Digital Collections. Glover Field Camp: Notice the River, houses, and bridge in the background. Spokane looked very different. Image courtesy of University of Washington Libraries. 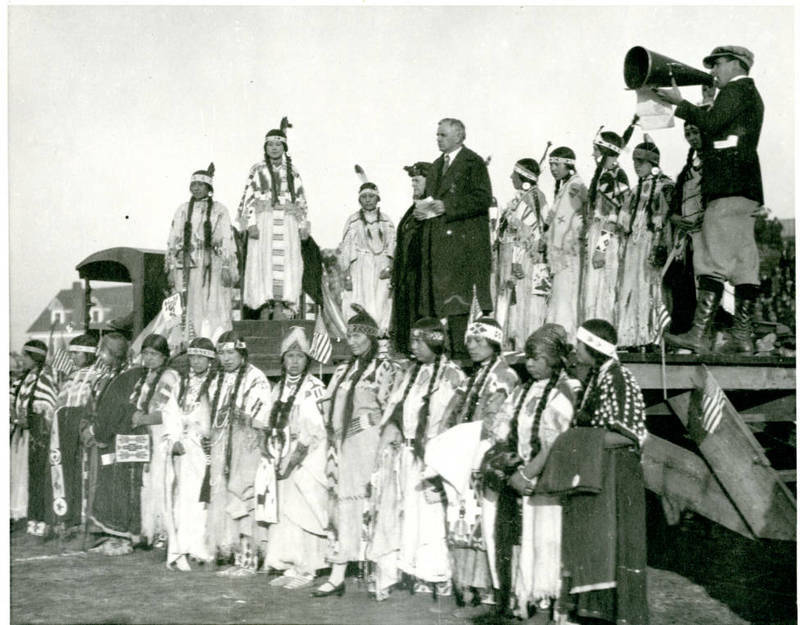 Casey Baulne, “Indian Congress,” Spokane Historical, accessed April 19, 2019, https://spokanehistorical.org/items/show/501.